ZIMBABWEANS will choose their next leader in four days' time, but it is not way off the mark to say there is really nothing new about President Emmerson Mnangagwa's "new dispensation". In fact, it's all frothing, no foam - all hubris, to say the least. 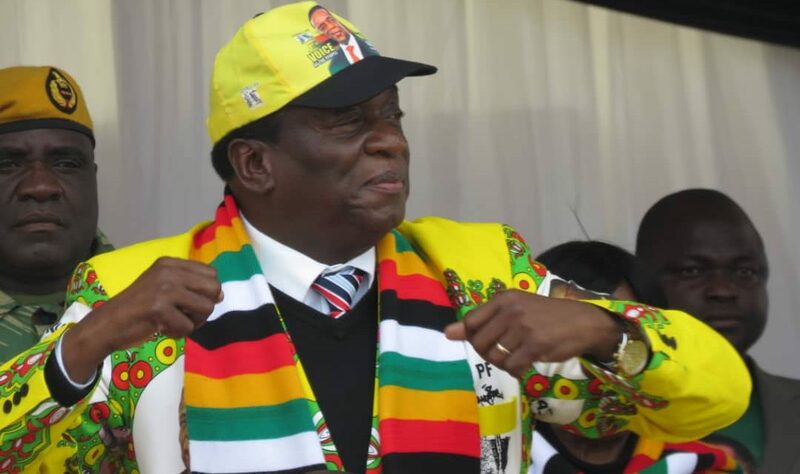 Violence across the country by Zanu-PF candidates against perceived opposition supporters has increased over the last few weeks, and yet nothing has happened to the perpetrators. This has been confirmed by the police ban of the MDC Alliance's proposed demonstration at the Zimbabwe Electoral Commission (Zec)'s offices in protest over its handling of the ballot papers ahead of Monday's general elections. It was tradition during former President Robert Mugabe's authoritarian rule that any proposal by the opposition to stage a peaceful demonstration was met with threats of arrest, and this is the path that Mnangagwa - for all his claims that he is not like Mugabe - is now taking. It is, indeed, time to prove who Mnangagwa really is, what he stands for, the authenticity of the man and whether or not his claims are genuine. While the President may have started off well, allowing opposition groups to protest, but with the passing of time and the rising heat ahead of the crucial polls, the leopard's true colours are now emerging as they were always bent to. The fact that political parties signed a peace pledge ahead of elections does not take away the constitutional right to protest when necessary. It is quite ironic that soon after citing lack of manpower to monitor the proposed demonstration, the police suddenly had enough manpower to deploy all over the capital city as a preventive mechanism. If it was Zanu-PF that had wanted to stage a demonstration, we are confident that permission would have been granted without even batting an eyelid. The manner in which Zanu-PF is fighting in Zec's corner raises eyebrows as it creates the impression that the electoral body's refusal to make further concessions will work to Mnangagwa's favour. Quite clearly, the opposition has a right to demand that their concerns be addressed by demonstrating against Zec, and Zanu-PF legal secretary Munyaradzi Paul Mangwana admitted as much during Zec's last meeting with political parties. Mangwana in his own words, said the opposition should talk to Zec - and not Zanu-PF - if it had issues concerning the elections. One cannot shrug off the suspicion that the ban on the demonstration is a ploy by Zanu-PF to curtail the democratic space, particularly in view of the fact that all the demonstrations that have been done by the opposition so far have been peaceful. This should have been enough to take care of Mnangagwa and the police's fears. We have no doubt that Mnangagwa must demonstrate that he will not go back to his usual self in case he wins next week's presidential race.